Up to now, we hadn’t really sat down to discuss design elements of the new addition, only the general layout. If we’re investing six figures in this thing, it makes sense to at least be on the same page when it comes to the design. I know you are wondering what we were looking at. Was it a magazine? A home design TV show? Or was I browsing the internet on my laptop? Any of these would make sense, but I was actually playing Grand Theft Auto V.
This is not a review…. 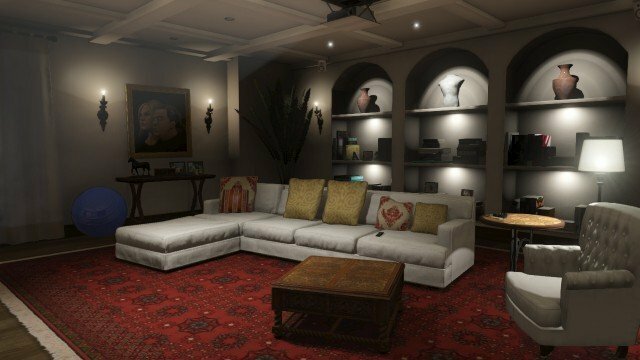 In GTA5, there are three characters, and each has their own “safe house” where they can change clothes (perhaps put on a mask to commit an armed robbery), save the game, and do some other interactive things like watch television, drink some whiskey or take a hit (or 3) off of a bong. Michael has the dated McMansion in Rockford Hills with the coffered ceilings and built-in bookshelves. 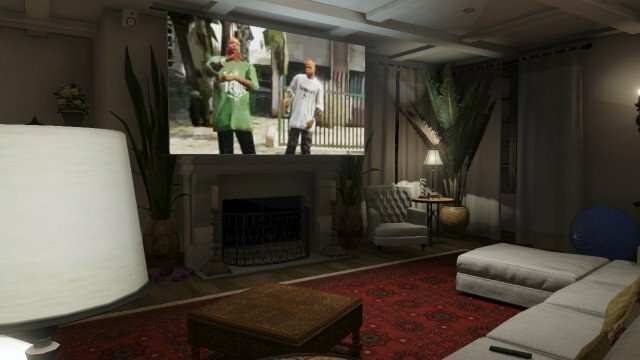 The projection TV over the fireplace in Michael’s house. Michael’s elegant family room with coffered ceilings and built in book cases. 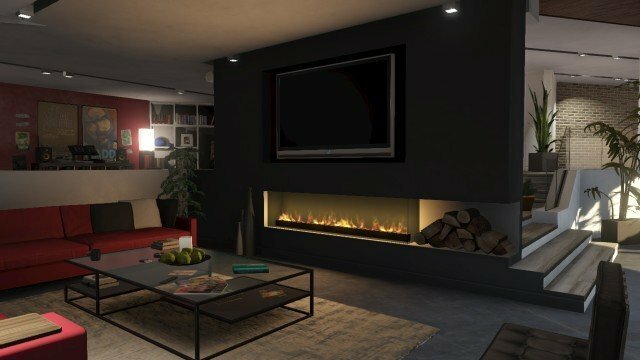 Franklin has the modern open concept house in Vinewood Hills. The television and fireplace in Franklin’s house. I wouldn’t mind borrowing design ideas from either of these very different houses. 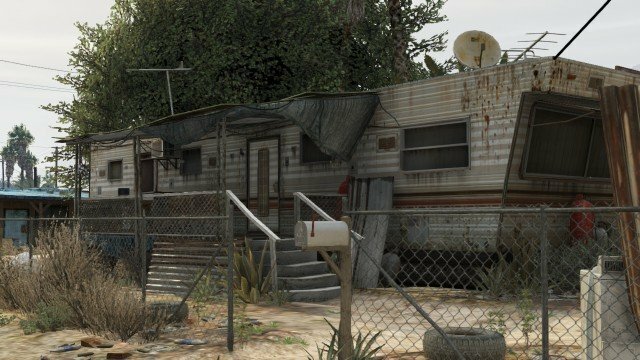 However, Trevor’s mobile home in Sandy Shores may be more in line with our budget.